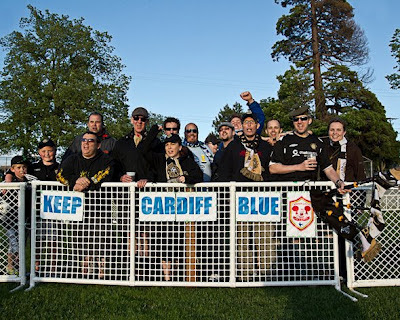 Lake Side Buoys: Keep Cardiff Blue! We will be having a bit of a display on Saturday in a show of solidarity with the loyal supporters of Cardiff FC. Yes, as in Wales, United Kingdom. You might be asking why, but then you probably remember some of the vitriol and anger when we lost the Highlanders women's team as it became Insert Corporate Sponsor Name Here Women's FC. For me, supporting a football club has always been about identity, about belonging, about sharing ecstasy and depression in equal measure with like-minded companions. So stand with us as we stand with them and maybe, just maybe somebody will get it.